VALENTINE’S DAY is the perfect time to celebrate love, human connection and life itself! People are all different and very complex so jewelry should show different facets of your personality. This opens up a wonderful door of exploration into unusual gemstones, colored semi precious stones, colored diamonds and raw diamonds. Then there’s boulder opals or fire opals, blue and pink sapphires, pink tourmalines or vivid aquamarines or tanzanite, or brilliant emeralds. If you are thinking of designing a piece of jewelry or engagement ring, make sure that the design of your choice resonates of a deeper, personal level. This piece will then always have a special meaning in your life and you will never tire of the design. Just going with the latest trend in jewelry design will not stand the test of time and give you that individuality in a piece of fine jewelry. 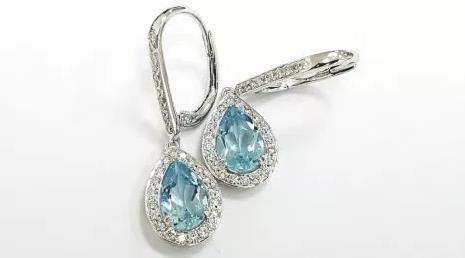 Nature is always a beautiful inspiration when it comes to color and design and the combination of yellow sapphires and blue topaz or tsavorites is inspirational. A very delicate and feminine combination is calcite, amethyst and chalcedony set in rose gold. For the purists who prefer not to mix colors, white gold or platinum will show beautifully with our vast choice in diamonds from pave halo styles, to 1 carat and up solitaire designs. We have been setting a lot of trillion cut diamond styles in rose gold and mixed yellow and white gold styles. Our horizontal settings are very popular with millenials, mainly for their simplicity and uniqueness. With trends going from minimalism to the latest maximalism we see today, it is always an adventure to find the stones that most represent a part of your personality that is uniquely you. Please feel free to contact us if you have any questions and need assistance – we would welcome showing you our unique collection of gemstones and diamonds.